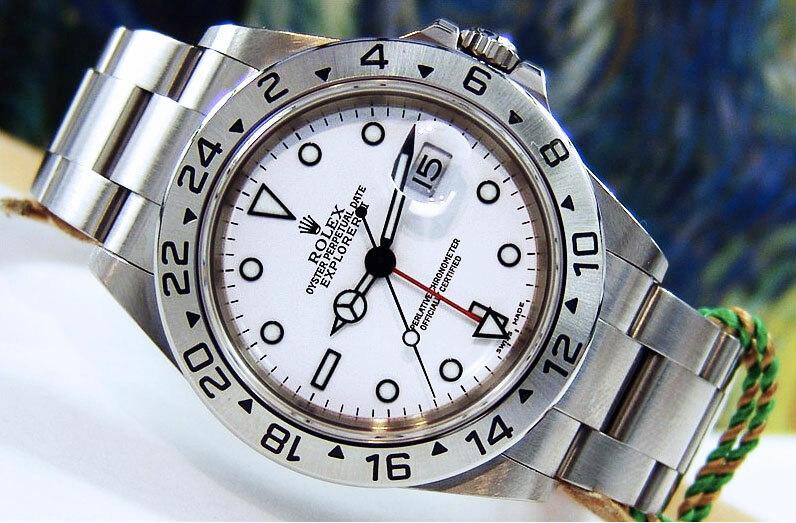 The photo above is unusual because Rolex did not make many Rolex Explorer models with the white dial. The black dial variants as seen below is by far and away the more popular version. "The earliest known Explorer, although, in fact, it does not have the word Explorer on the dial. 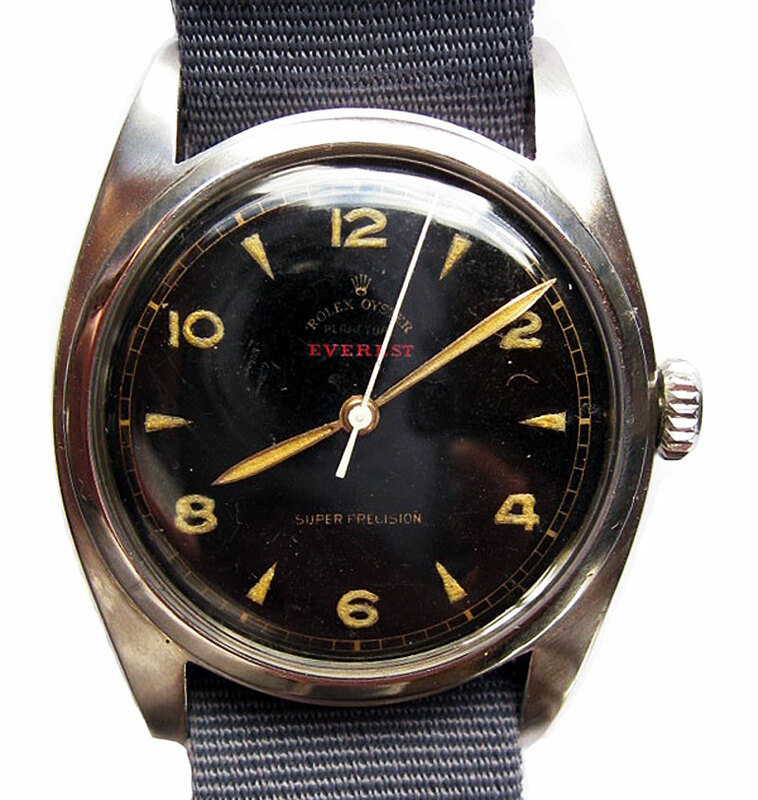 This is one of the watches worn on the John Hunt Expedition which succeeded in conquering Everest at the end of May, 1953." 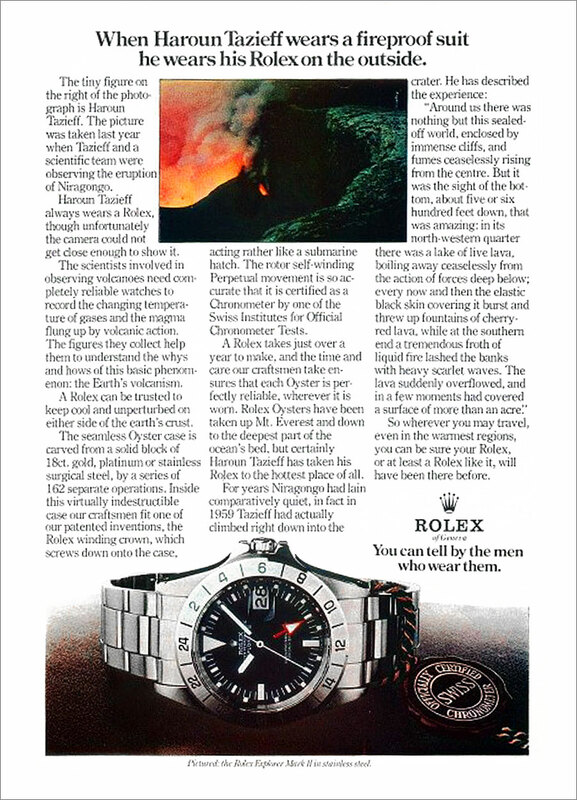 "One of the watches worn on that expedition was auctioned by Sotheby's London on July 19, 1988 as lot 117 (see photograph on page 243). As you can see the watch was a classic early Explorer down to the Mercedes hands, except for the absence of the word Explorer on the dial. 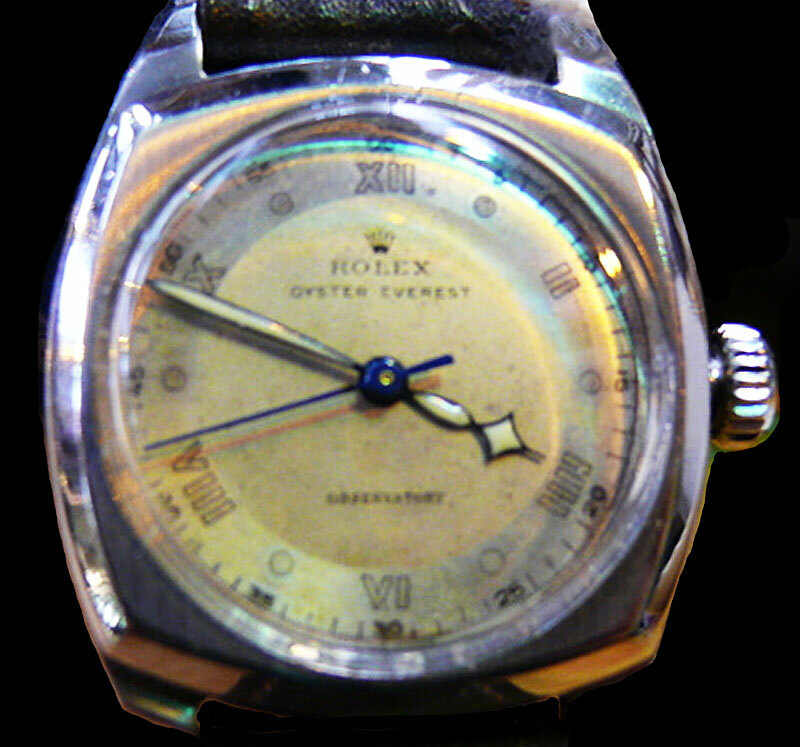 The shape of the watch (and the description by Sotheby's as a Bubble-Back Explorer) leads us to believe the watch is in fact a model 6350." 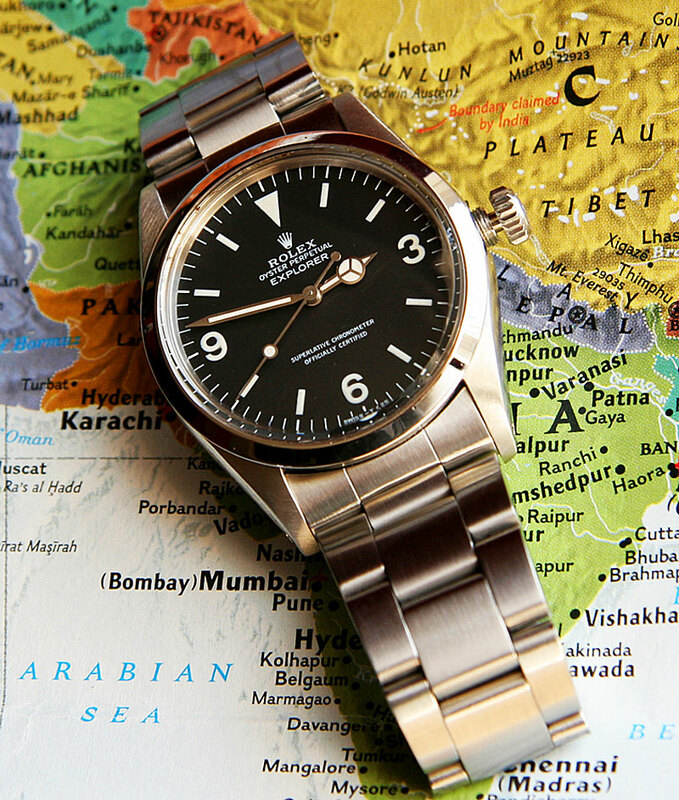 When most people think of a Rolex Explorer, they think of a watch that looks like the one below. 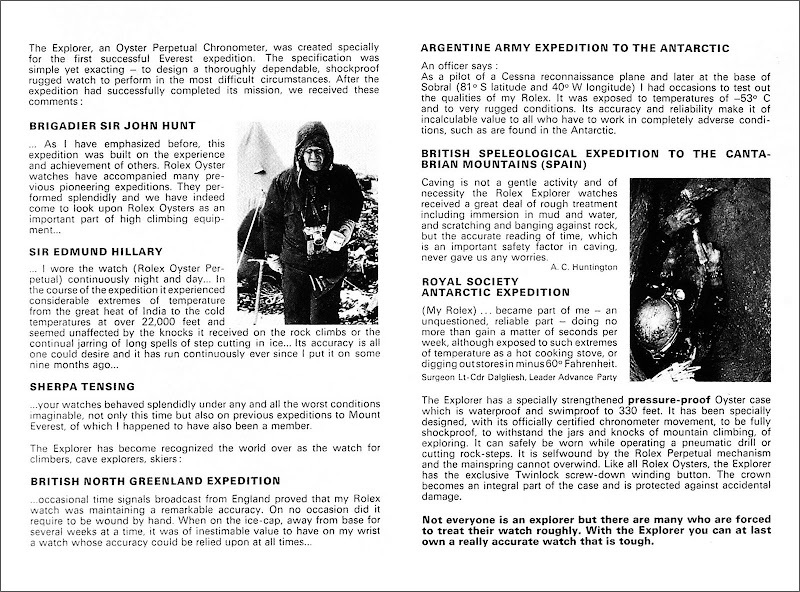 The next two images show a Rolex Explorer brochure from 1966 and include quotes from Sir John Hunt, Sir Edmund Hillary and Tenzing Norgay. 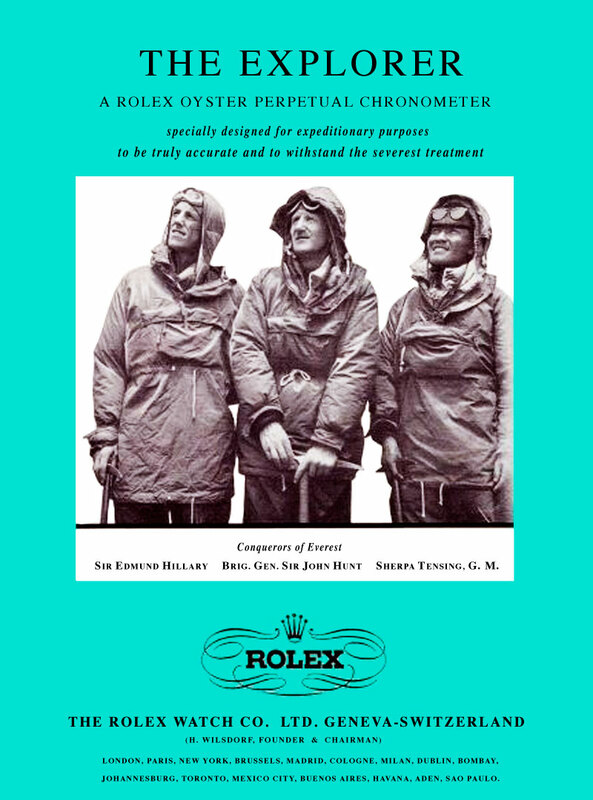 Pictured below is a more recent Rolex Explorer Ad that features Sir Edmund Hillary and Tenzing Norgay near the summit of Mount Everest. 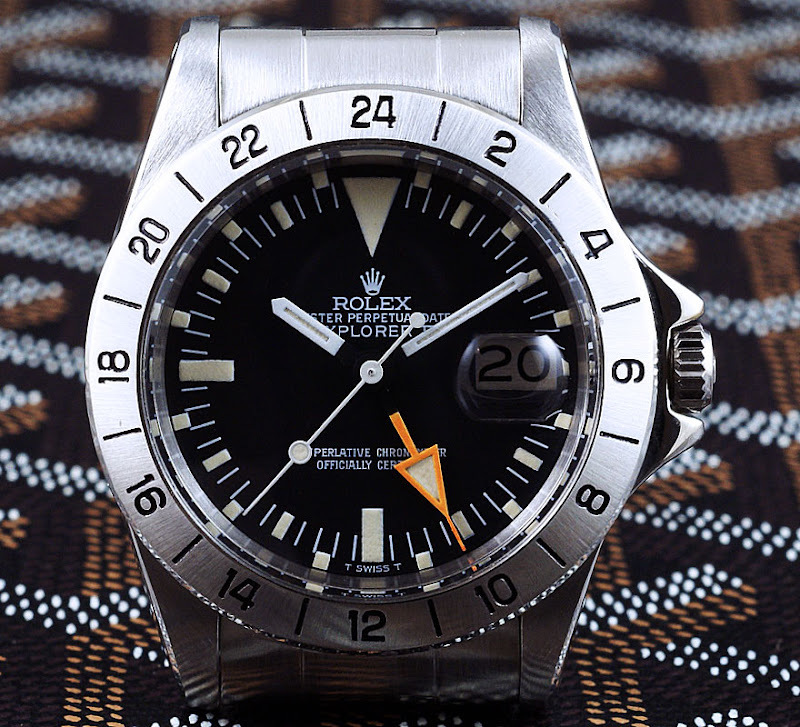 The photo below is of a Rolex Explorer Mark II which added a 24 hour bezel and an orange hand for tracking 24 hour time. 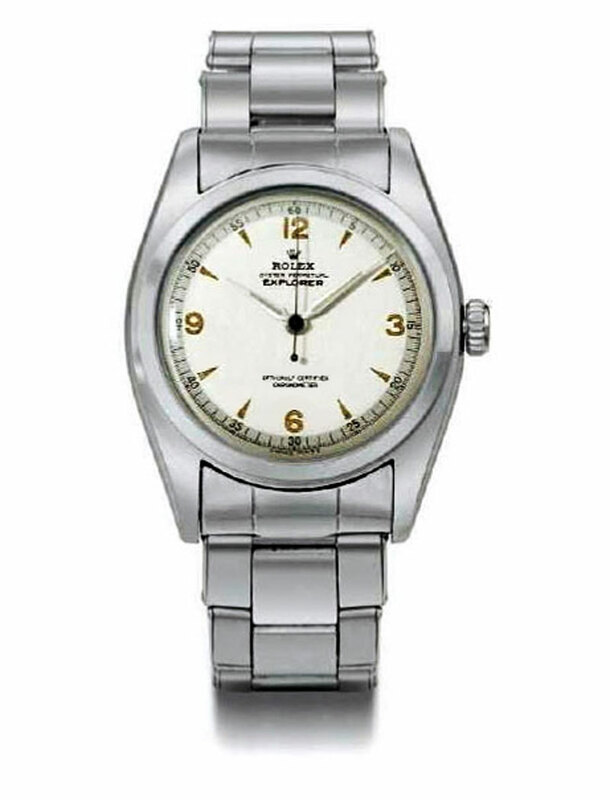 The advertisement below is for the Rolex Explorer Mark II pictured above. 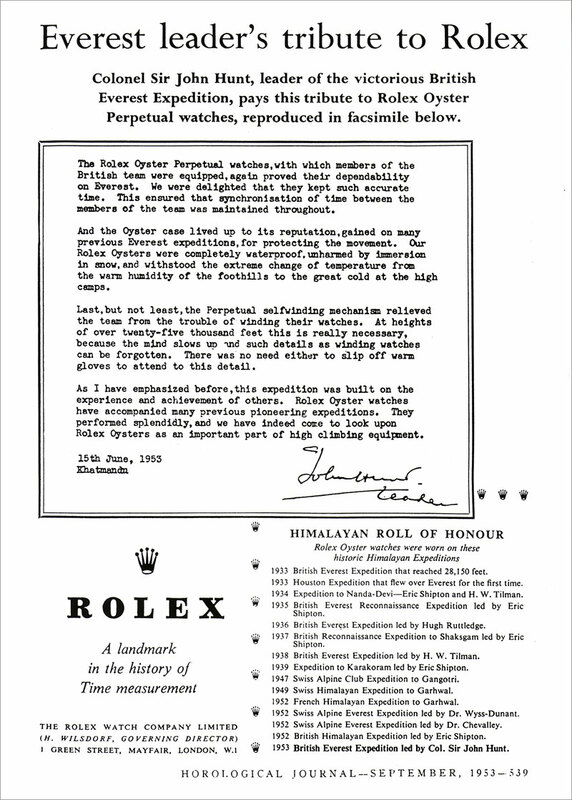 The "Mark II" designation comes from the Rolex ad below. 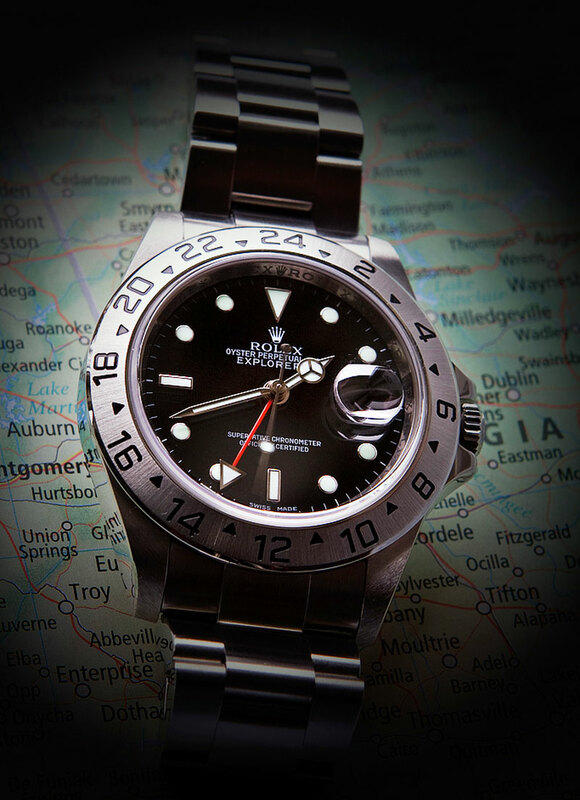 Notice at the bottom of the ad the text under the photo of the watch that reads "Pictured: the Rolex Explorer Mark II in stainless steel." Years later Rolex replaced the Rolex Explorer Mark II orange hand with an all new version with a red hand. The next photo shows the Rolex Explorer II with a white dial. The white dial variation is unique in the sense that its indices and hands are black. 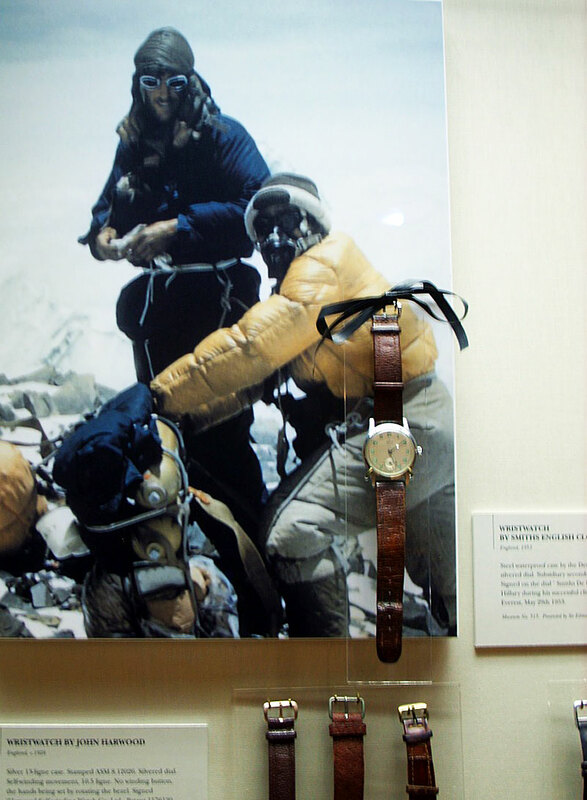 This is the same watch that is seen on Peter Hillary's wrist on top of Mount Everest on the 50th anniversary of the his father conquering Mount Everest. 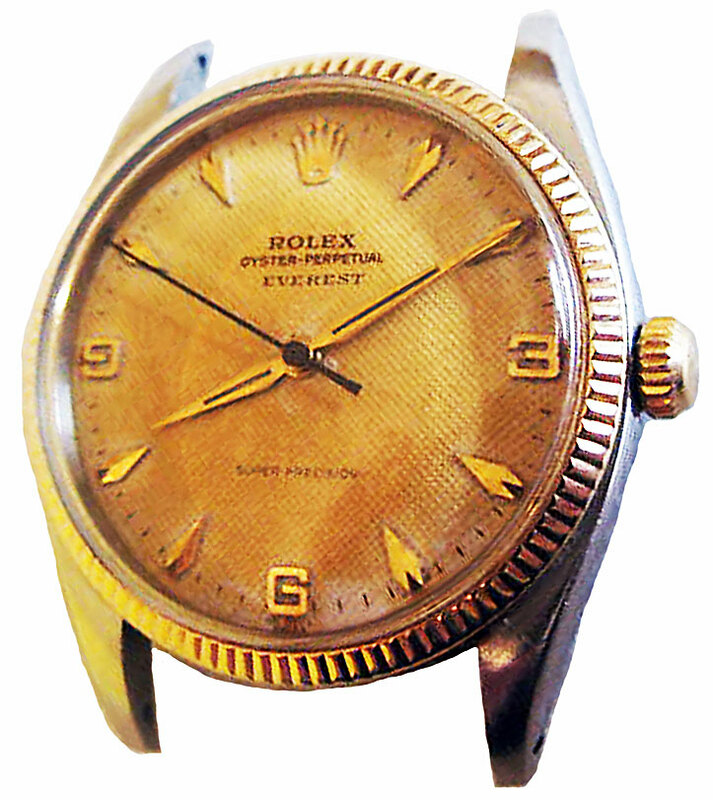 There is a very interesting history behind the lagacy of Mount Everest and wrist watches. 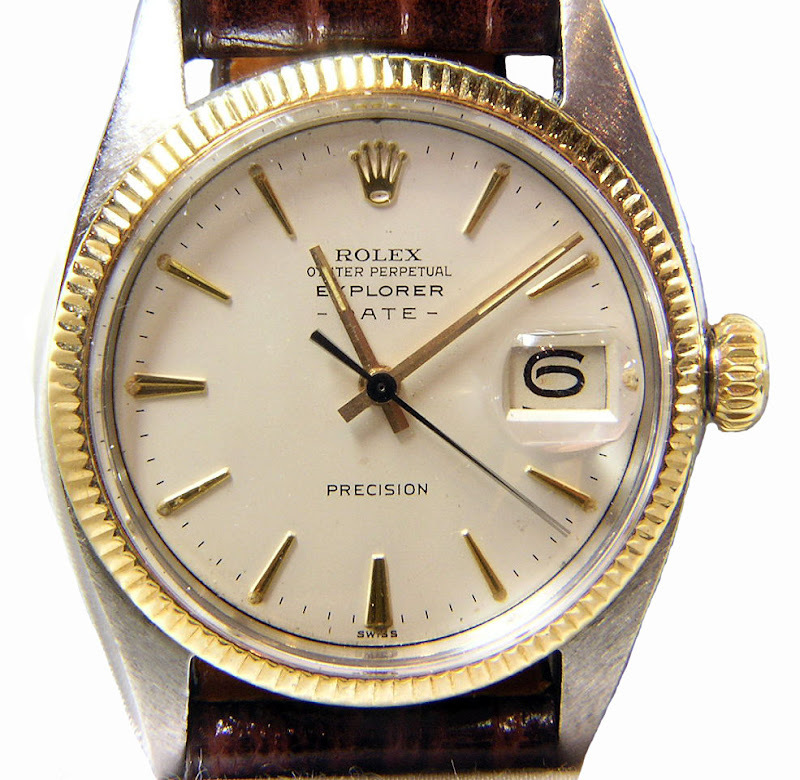 Rolex seemed to be historically pre-occupied with Everest because they made watch models that were named Everest. If I understand it correctly, they primarily made the Everest model watches for the Canadian market. 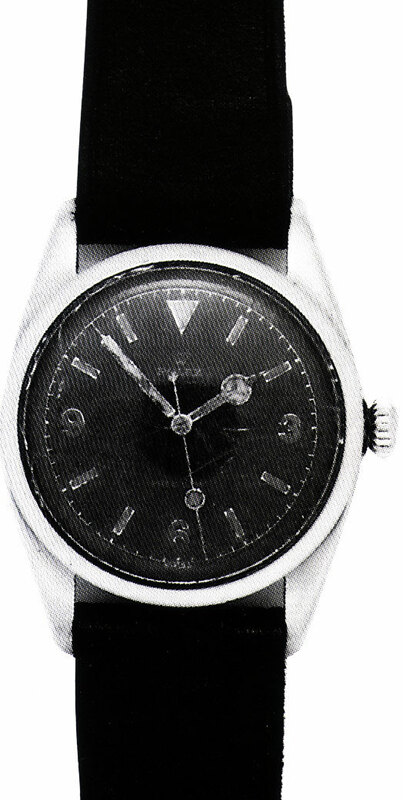 There is a very strange mystery surrounding what watches were worn by whom on Everest. 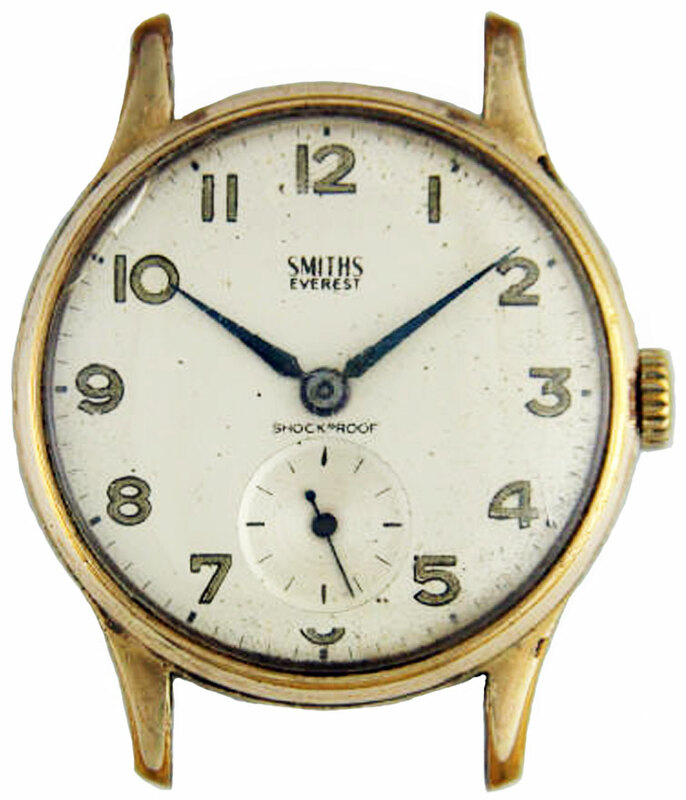 In 1953 there was a British watch company named Smiths Watches (Smiths watch pictured above) that went out of business many years ago, that ran the ad seen below. The strange thing is that it does not say Sir Edmund Hillary wore the watch up to the summit, but that he "carried" it to the summit. If he wore it, he would have said he wore it...I think!? Update: CDA sent in the two following images that were taken at the Clockmaker's Museum in London. 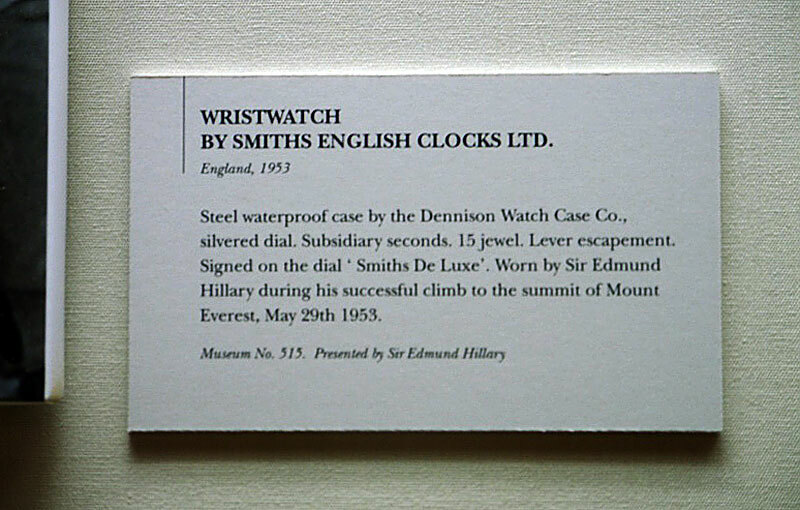 The first image shows Sir Edmund Hillary's Smiths watch that he donated to the Clockmakers's Museum and the second image is a close-up of the description. Thank you very much for sharing CDA!!! 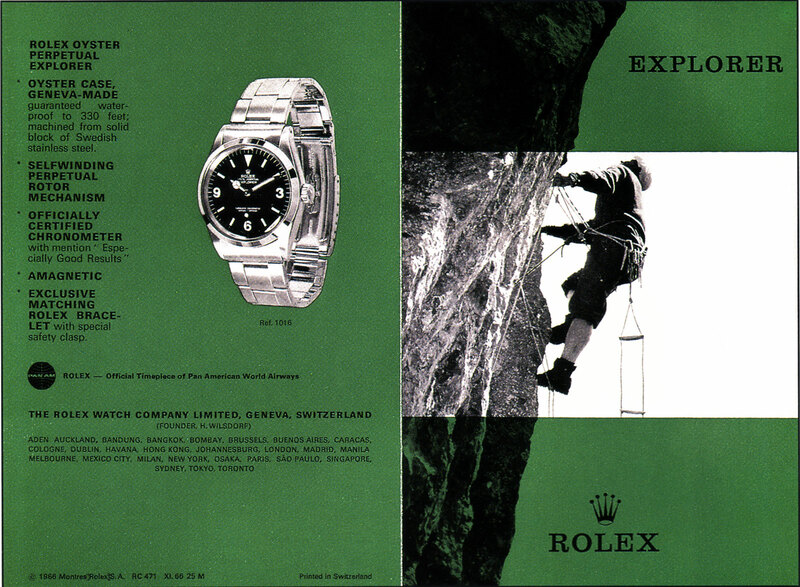 Next we have the following Rolex ads that seem to suggest somebody from the Mount Everest expedition wore Rolex watches. It is difficult to separate the fact from the fiction, but I will give it my best shot. I have heard many rumors over the years. I heard that Hillary wore a Rolex. 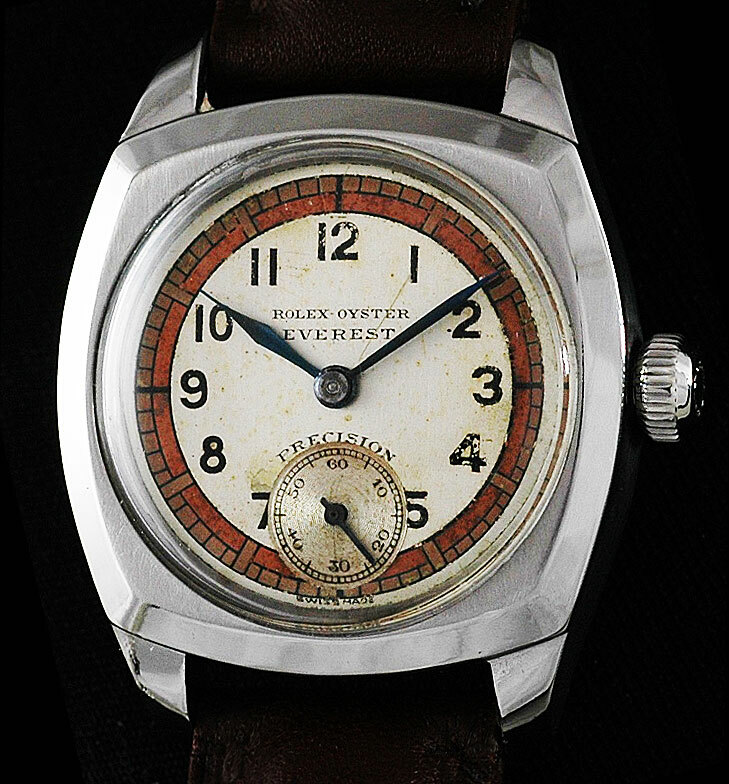 I heard that Tenzing wore a Rolex that Rolex has in their private collection. 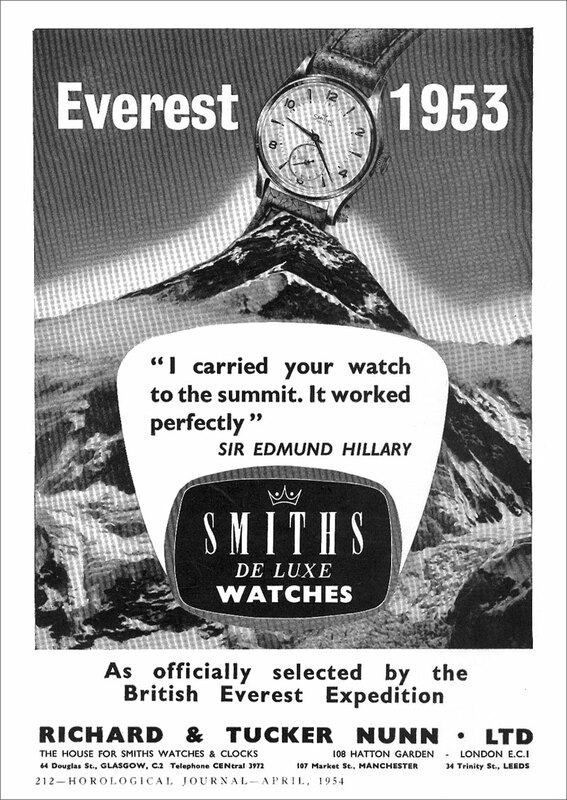 This Next ad is from the Horological Journal from September of 1953 and sheds substantial light on Rolex Everest Expedition History. 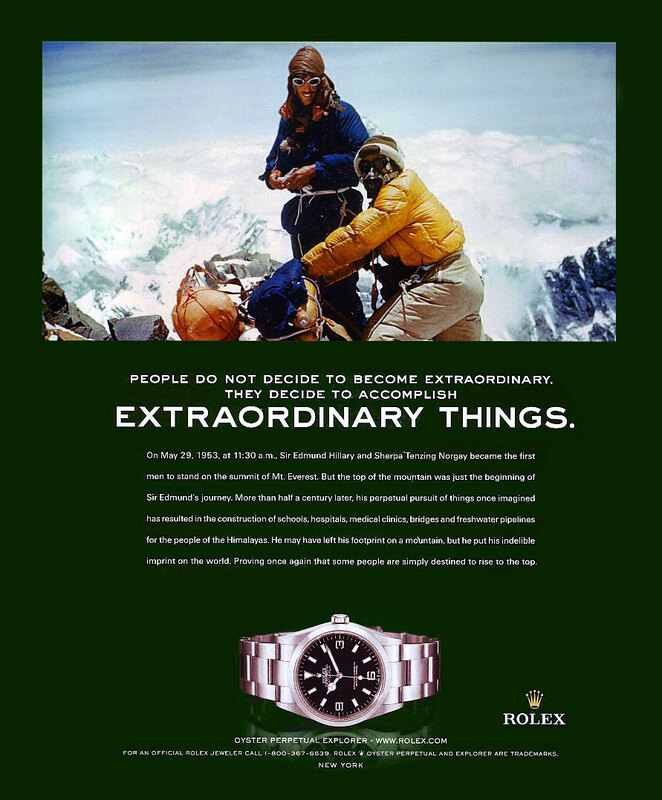 This next Rolex Advertorial was published 3 days after Tenzing Norgay and Sir Edmund Hillary conquered Everest.